As a military service veteran, you know how to lead. Your military experience provided daily lessons in strategic thinking, perseverance, discipline and grit, all of which serve you well as you navigate a second career as a business owner. Still, as you lead your veteran-owned business, you’re going from a world where every move followed a strict command order to one where the decisions and their consequences are all on you. This time, a misstep isn’t likely to be a matter of life or death, but you’re nevertheless a little nervous about jumping into this brand-new field without a net. Finding a support system to guide you through the process could help ease that anxiety, and fortunately, there are many available. Several programs created especially for veterans provide assistance around business loans, management training, networking opportunities and other tools you’ll need to succeed as a business owner. 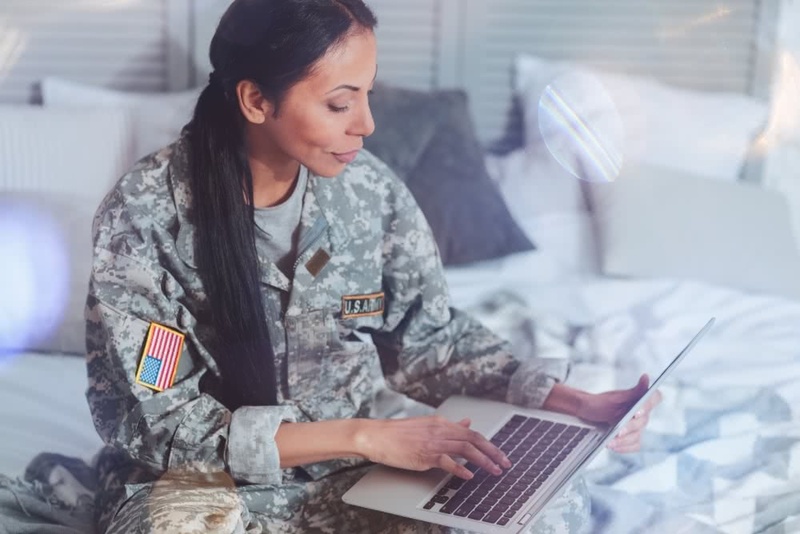 Here are 10 resources for veterans starting a business or looking to gain more expertise after a few years in business. 1. The Office of Veterans Business Development (OVBD) in the U.S. Small Business Administration (SBA) connects veterans, service-disabled veterans, reservists, active-duty service members, transitioning service members, and their dependents or survivors with SBA resources, including loans for veterans, business planning, mentorship and training. The OVBD oversees a national network of Veterans Business Outreach Centers. 2. The National Veteran-Owned Business Association (NaVOBA) is a nonprofit organization focused on helping veteran business owners, including service-disabled veterans, gain opportunities for corporate contracts. It offers several resources for veterans looking to enhance their business skills, including networking, training and certification. 3. Small Business Loans for Veterans. Open to veterans and their spouses, these loans can provide your business with the necessary working capital or equipment financing, through a streamlined application process. 4. SBA Veterans Advantage guarantees loans to businesses that are at least 51 percent owned by veterans or military spouses. This initiative makes small business loans more affordable by eliminating the guaranty fee for loans of $350,000 and under that are approved through the SBA Express program. 5. Military Reservist Economic Injury Disaster Loan Program. This SBA-administered program offers working capital loans to businesses that cannot cover operating expenses because an essential employee is called to active duty in the Reserves or National Guard. The maximum loan amount is $2 million. 6. Boots to Business. The SBA offers this entrepreneurial training program at U.S. military installations around the world as part of the Department of Defense’s Transition Assistance Program. Both transitioning service members and spouses are eligible. The curriculum includes a two-day, in-person “Introduction to Entrepreneurship” course and several online follow-up courses. An extension of the program, called Boots to Business Reboot, offers classes in various community locations. To get you inspired, the Boots to Business website has a link to a video featuring several entrepreneur success stories. 7. Entrepreneurship Bootcamp for Veterans. This program, created exclusively for post-9/11 veterans, consists of a 30-day online course, a nine-day residency at one of 10 consortium universities and a year of ongoing mentorship. Topics include finances, management, marketing and strategic planning. The entire boot camp experience, including travel and lodging, is free of cost. 8. Vets First Verification Program. This program of the U.S. Department of Veteran Affairs (VA) certifies a veteran-owned business to compete for VA set-asides. The program’s website features information about application guides and counseling, as well as training webinars and town halls. 9. NaVOBA Certification. The National Veteran-Owned Business Association operates independent, nationally recognized Certified Veteran’s Business Enterprise™ (VBE) and Certified Service-Disabled Veteran’s Business Enterprise™ (SDVBE) programs. Getting certified makes it easier to market your business to corporations that are especially interested in doing business with veteran-owned enterprises and require verification of their status. 10. Service-Disabled Veteran-Owned Small Business Program. This SBA program supports the federal government’s annual goal of awarding at least 3 percent of its contracting dollars to small businesses owned by service-disabled veterans. The program aims to level the business playing field for members of a group that might be socially or economically disadvantaged. To be eligible, at least 51 percent of the business must be owned by one or more service-disabled veterans. These are just some of the available resources for veterans looking to expand their skills after a few years in business. As you grow your veteran-owned business, reach out to the agencies and organizations that are eager to lend you a hand in appreciation for your service.